It’s hard to ignore the footwear for men in certain circumstances. If you already have the perfect life, and you have no one to impress, no social status to worry about, you can wear anything on your feet walk. You can wear 10-year-old sandals, shoes with holes in them, or wooden clogs if you want. But, in any sort of situation where discerning attitudes are going to be looking at your feet, or in circumstances when performance is important, then shoes are vital. If you want a few examples of where footwear matters and how shoes make the man, consider things like basketball shoes, casual shoes, dress shoes, and general athletic shoes. For each of those categories, men have to make certain specific decisions about form and function. And there’s always the matter of price budget as well to put in the equation. If you play basketball, then you have to buy basketball shoes. There’s no reason that you would want to fall victim to an injury because you don’t have the right type of footwear. In fact, you don’t want to be uncomfortable while you’re playing either. The construction of basketball shoes, especially for bigger and taller people, is as much for safety and performance as it is for style. Once you find a brand or type of shoe that you like, you’ll probably stick with it for life. Another important decision to make as a man putting an outfit together is what kind of casual shoes fit the situation. Depending on what type of person you want to attract to you, there are different impressions that you can make. Casual shoes can tell people a lot about your personality. So it’s up to you to reverse engineer social intelligence that is pointed your way, and buy the shoes that will present the type of message that needs to be communicated. And finally, you come to the category of general athletic shoes. If you’re a fairly active man, you want to be comfortable. However, you don’t want to go into any sort of commercial establishment and have people looking at your feet and sneering or getting the wrong impression about you. That’s why you want to take general athletic shoes that fit your feet, are comfortable, fit in your budget, and also don’t look like you bought them a discount store. 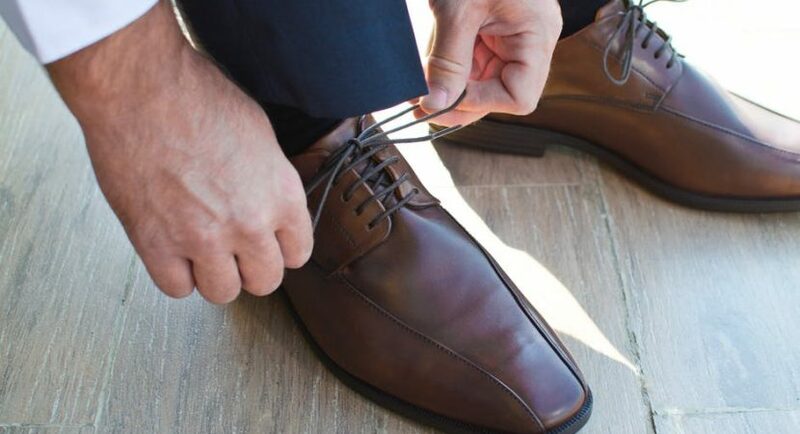 This can be a little bit of the balance, but with some practice, you will always get the right pair of shoes for general use.